Gather Atlanta is an annual networking event presented by MINT, BurnAway, WonderRoot, and ThoughtMarker, which seeks to unite and promote Atlanta's emerging galleries, alternative art spaces, and young creative collectives. 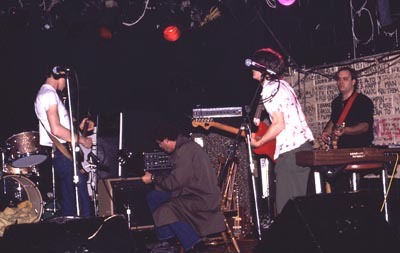 Started in 1983 by bringing together individuals from different bands for an evening of improvised music, at the legendary/infamous Atlanta club 688. After a hiatus of over 20 years, activity resumed in 2006. This will be the third public performance since reactivation. An Atlanta based quartet playing original songs. The band is Robert Schmid, John Moore, Bernie Griner and Jimmy Gough. Former members of Atlanta favorites: Swimming Pool Q's, the Basics, Fuse, Glaze and others.